College is expensive and paying for a degree seems impossible; however, Pennsylvania offers its prospective students options for receiving grants and scholarships. Whether a student is starting, reentering or earning a second degree, there are alternatives to financing an education before resorting to loans. Understanding the Pennsylvania governing agency will be the foundation of finding funds for college. But first, it is important to understand how the agency operates, qualifies, manages and administers grants and scholarships. The Pennsylvania Higher Education Assistance Agency, or PHEAA, was created in 1963 by the Pennsylvania General Assembly. The agency oversees the state’s grant and scholarship programs. PHEAA is the national source for student financial aid servicing and student loans. It has serviced millions of students and thousands of schools with financial aid services. These services include loan guaranty, loan services, financial aid processing, outreach and other student aid programs. American Education Services, or AES, was established by PHEAA to service and guarantee loans for the Federal Family Education Loan Program, FFELP. Private loans, alternative loans and other student loan products are serviced thorough AES for its lending partners nationwide. Nationally, PHEAA conducts its student loan servicing activities as AES and FedLoan. AES is a national leader in loan servicing and uses a staff of experienced and well-trained customer service representatives. The U.S. Department of Education draws on the experience of AES to service its loans. FedLoan Servicing was established by PHEAA to support student loans owned by the Federal government. FedLoan Servicing is one of the few organizations approved by the Department of Education to service these loans. This organization offers its student borrowers easy and convenient ways to manage their loans. Grants do not have to be repaid and unlike scholarships, grants are need-based and not merit-based. To qualify for grants and scholarships, a Free Application for Federal Student Aid, or FAFSA, must be filed to assess financial need. The application can be filed online, downloaded from a portable data file (PDF) or completed using the paper version. Instructions on how to file online, complete the paper form and find out what documents are needed are readily available on the FAFSA website. The “Browse Help” button will give applicants step-by-step instructions for completing the application. The information gathered from the FAFSA is used to produce the Student Aid Report, SAR. The generated report is sent to the student and/or the school’s Financial Aid Office with an eligibility score called the Expected Family Contribution or EFC index number. The EFC number determines federal student aid eligibility. A Data Release Number, DRN, is a 4-digit number assigned to every application by the U.S. Department of Education. The difference between grants and scholarships is that scholarships are merit-based or condition-based. Like grants, scholarships do not need to be repaid. Scholarships are available from government, state or local agencies, companies or corporations, nonprofit organizations, religious organizations or private individuals. One way to find scholarship money is to search an online database. For example, a scholarship may be given because of a specific religion affiliation or membership to a particular organization. The amounts and conditions will vary. Typically, as long as the conditions are met, the scholarship will be renewed. However, scholarships may have a condition of time or status. A time condition may be for the first year of college; similarly, a status condition may be for students in their junior year. The Pennsylvania State Grant Program is need-based; however, applicants must meet eligibility requirements to be considered for the grant. Must be from an approved American high school including American Territories. American military bases located overseas and in foreign countries meet the high school graduation requirement if they have American accreditation. 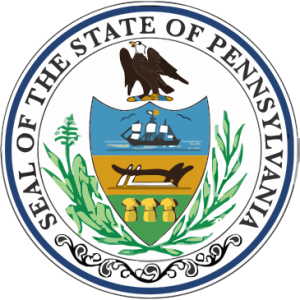 Recipients of a Commonwealth Secondary School Diploma or its equivalent from another state or diploma recognized by the Pennsylvania Department of Education meet the requirement. Correspondence courses or distance learning for issued diplomas do not count for fulfillment of the high school graduation requirement. The institution must be approved by PHEAA and must be two academic years in duration. An academic year is defined as a minimum of 60 semester credits or 1,800 clock hours of instruction, or its equivalent. An associate and specialized business or specialized technology degree is 1,500 clock hours. Additionally, 50 percent of the credits or clock hours must be completed through classroom instruction. Students with a medical disability seeking exemptions from the 50 percent classroom instruction mandate can download an ADA Accommodation Request form from the website. The completed form and documentation should be mailed to the Pennsylvania State Grant Program, PHEAA, in Harrisburg. For schools using clock hours instead of semester credits for full-time study, it is equivalent to approximately 450 clock hours. Students are required to successfully complete half-time or full-time enrollment status requirements to receive a half-time or full-time grant. The credits for repeat courses, which were counted when the state grant was originally awarded, are not counted again. Financial Aid personnel must verify enrollment status for each student at the end of each academic year. If a student does not meet the academic progress requirement they are ineligible until meeting the requirement(s). For example, if the grant is for full-time study but if the student attends less than full-time, he or she is ineligible until this grant requirement is fulfilled. Questions or concerns about academic progress should be addressed with the Financial Aid Office. In order to receive a State Grant, a student must not have earned a Bachelor or professional degree prior to applying for a State grant. To be eligible for a grant, the enrollment status must be at least half-time. Under certain circumstances, developmental, foundation and remedial courses may be included in meeting the half-time requirement. Be sure to check with Financial Aid for any questions regarding undergraduate enrollment requirements. A student must be at least 18 years of age or older and be a bona fide resident of Pennsylvania for 12 consecutive months. Bona fide residency must be established immediately preceding the date of the application. Under the age of 18, a student is considered a minor and is required to have a parent or guardian who has continuous direct care and control over the minor. The parent or guardian must have at least last two consecutive years of caring for the minor child. Further, the minor must also maintain 12 months of consecutive residency in Pennsylvania and continue the residency until the beginning of the Fall term classes. Currently incarcerated individuals, who were convicted of a criminal offense, are not eligible for a State Grant and should notify State Grant and Special Programs in writing. By law, schools are required to notify PHEAA of recipients who are incarcerated. A recipient is ineligible for a State Grant if an education loan has defaulted or is pending default. The status of default is also applied to grants that have converted to loans, for noncompliance of the eligibility or service requirements for the grant. An educational loan includes guaranteed or reinsured by Federal or State governments and institutions. Deadlines for Pennsylvania State Grants must be met for the initial application, Summer Aid or renewal of grants. For detailed information on grant eligibility and requirements, read the Rights and Responsibilities Certification Document. The Federal Pell Grant is the foundation for other federal financial aid. Usually, the grant is awarded to undergraduates only. The rule of not earning a bachelor’s or professional degree prior to receiving the grant does not necessarily mean the recipient will not be awarded grant money. One example of an exception is enrollment in a Post-baccalaureate Teacher Certification Program. Recipients are no longer able to receive more than one Pell Grant in an academic year. This change will take place during the 2011-2012 award year of July 1, 2011 through June 30, 2012. If the grant is received after July 1, 2008, then it can be used for up to 18 consecutive months or its equivalent. Funds must be distributed once per semester, trimester or quarter. If the school does not use semesters, trimesters or quarters, then distribution must be made at least twice in an academic year. The Blind or Deaf Beneficiary Program is for students who are blind or deaf and attend a state-approved postsecondary institution. The Gaining Early Awareness and Readiness for Undergraduate Programs (GEAR UP) Scholarship is for students who have graduated from one of the designated high schools and who participated in mandatory college-readiness activities. The New Economy Technology Scholarship Program is comprised of the SciTech and Technology scholarships. Funding was cut for the 2011-2012 academic year. Students who already qualify for this scholarship will continue to receive grant money. See the link for more information. The Pennsylvania Chafee Education and Training Grant Program is for recipients who are aging out of the Foster Care System. The Postsecondary Educational Gratuity Program is for children with a parent who died while serving Pennsylvania’s citizens. This waiver covers tuition, books, on-campus room and board, and related college expenses. The waiver covers the remaining balance after all grants and scholarships are applied to a student’s account. Repeat application process minus birth certificate or letter of admission from institution. Another form of grants and scholarships is Work-Study Employment through the Pennsylvania State Work-Study Program. Students gain experience working in a career-related job while earning money for college to offset expenses. Students may find a participating employer or a nonparticipating employer. Those employers who are nonparticipants and interested in becoming an employer in the Work-Study Program may apply online in the Work-Study Employers section. Make sure to put the correct school code, county code and program of study code in section one of the application. Pennsylvania’s grants and scholarships are available for those who served in the military and National Guard. The dependents of these veterans may qualify for the education benefits. Listed below are programs for those seeking an education at one of Pennsylvania’s postsecondary schools. The Department of Veterans Affairs offers financial aid benefits for veterans on or after September 11, 2001. The Post-9/11 GI-Bill financially supports veterans with education and housing costs. As of August 1, 2009, veterans may participate in the following approved programs: undergraduate and graduate degrees, vocational or technical training and on-the-job training. Other approved programs include flight training, correspondence training, licensing and national testing programs. This program is unlike other grants and scholarships because tuition is fully paid for veterans residing in Pennsylvania and attending public schools. An annual stipend of $1,000 is paid for books and supplies along with a Monthly Housing Allowance (MHA) or Basic Allowance Housing (BAH). The amount of $17,500 goes toward tuition and fees for private or foreign schools per academic year. Be sure to check out the limitations of this program for attending schools in certain states. If a veteran is attending a more expensive school or an out-of-state school as a nonresident student, the Yellow Ribbon Program may reimburse the difference. Children of Prisoners of War and Missing in Action Soldiers are entitled to PHEAA’s special state grant. The Partnerships for Access to Higher Education Program, or PATH, is for students who have qualified for grants and scholarships under one of PHEAA’s PATH Partners. Only those students are eligible for additional monies through this program. PATH partners in conjunction with PHEAA to give Pennsylvania students additional sources for grants or scholarships from the private sector. Community-based Partners are nonprofit organizations committed to assisting Pennsylvanians with their post-secondary education endeavors. The organizations who participate in the PATH Program are separate entities from PHEAA in their operations, setting the requirements for scholarship eligibility and their funding sources. Organizations may become a Partner by calling PATH at 800-443-0646 and selecting option 3. Although times are tough, college does not have to be out of reach for Pennsylvanians wanting to earn a degree. Grants and scholarships are just two of the ways to finance an education. Research, plan, prepare and educate to find the best financial aid package for post-secondary education. Im trying to figure out how to get any grants or anything to pay for school and for school supplies such as computer and books..I dont know what to do ive been searching and cant find anything please help.